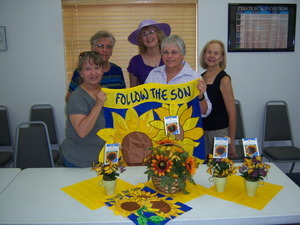 Some of you know them as the local chapter of Stonecroft Ministries. More recently they have identified as Pinetop-Lakeside Vital Network. The Warm-up for the 2015 Fair was well attended and new volunteers are joining the Event Team. Thanks to Jody Raikowski who hosted the event at her home in Taylor.